Hail storms can unleash large, heavy balls of ice that can damage cars and buildings and injure animals and people. 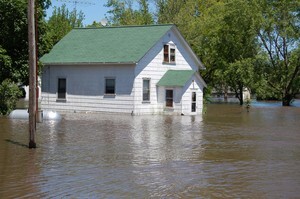 Your homeowners insurance does not cover flood damage. Without home flood insurance, you could end up paying $311 a MONTH for a disaster home loan in order to get your life back in order after a flood, whereas if you’d had flood insurance, you would have been paying an average of $370 a YEAR – even less in low to moderate risk areas! Doing these 5 things will help to ensure that your property is not seriously damaged in the event of flooding. These things will also protect your family from fires, sewage contamination, and having to spend thousands of dollars replacing systems within your home after a house flood. 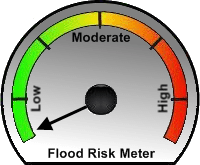 Wonder about the likelihood of your home encountering flood waters should a flood occur at some point in the future? Use these 2 online tools to determine if your home is in a flood zone or not. It’s quick, easy… and FREE! How To Survive The Storm: Invest In Emergency Survival Kits! 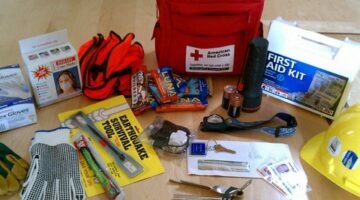 One of the most important things you can have in your home is a survival kit that will help keep you and your loved ones safe when severe weather strikes. Here’s what to include in your home survival kit. 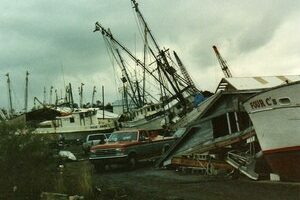 Looking back at the true impact of Hurricane Hugo… the damage and destruction 20 years later. Hurricane Warning? 10 Things You Need To Do… Now! The types of damage that a Hurricane can cause …and how you can prevent it from happening to your home, your vehicle, or your life! Travel Weather Insurance: How Does It Work? How do you feel about gambling on the weather? Now you can buy weather insurance to protect you from delays and cancellations due to bad weather! Think: rain insurance, snow insurance, temperature insurance, wind insurance, severe adverse weather and event cancellation, as well as travel insurance and trip insurance. Here are the best instructions I could find for making temporary roof repairs in the event that a storm — like a hurricane or tornado — has crossed paths with your house. 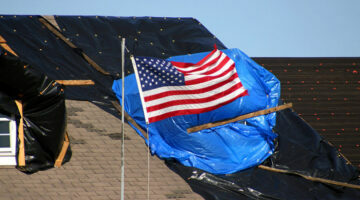 See how to fix your damaged roof using a tarp and some boards. What Would YOU Pack For Evacuation? See what the experts say you should pack for evacuation. Then compare that to what I packed when I was forced to evacuate recently.